One of the most significant and certain-to-happen demonstrations involving the new coding muscle offered by HEVC is the DVB Project’s delivery of seven HEVC encoded HD channels in a single 8MHz DVB-T2 channel. This introduction of HEVC-encoded services is both a technology triumph and a startling political turn about, as what you can see was inspired by what Germany has gone for, in a big way. “It is a U-Turn because there were numerous discussions in Germany about stopping terrestrial transmission,” said DVB executive director Peter Siebert.  “The DVB is delighted to see that German broadcasters will upgrade the terrestrial platform to be compatible with satellite and cable. “The numbers for terrestrial as the primary distribution format in Germany are 10-11%, but there are many TV screens in with digital antennae and I am pretty sure that this new platform, delivering a wide range of HD services, will give a new push to DTT in Germany,” he added. One of the first products to take advantage of now available HEVC chip sets is the Technicolor set-top box used by Siebert in the DVB demo. “My other partners are TeamCast for the transmission, Fraunhofer for the encoding, Rohde & Schwarz for the multiplexing, Arte and IRT for the content, Vestel for the display, and Sony for the mobile receive devices,” said Siebert. EBU members will put their current bouquets in a reduced spectrum, but Siebert has one concern. “The open question is, what will the spectrum transition scenario look like: you need the currently available spectrum because you must do simulcast for some time to come,” he said. The DVB-T2 demo is done at 64QAM and the data rate is 26.56Mbps. The key element of robust transmission for indoor and portable reception is as good as it was with the first generation system DVB-T.